The recent “Grand in Your Hand” giveaway winner, the H&R Block giveaway, is Bridgette Pattison, a resident of Lima. The month-long give away is taking place at H & R Block offices throughout the nation. This year, Pattison’s tax return included an extra &1,000, which is a great reward for having H & R Block prepare her taxes. She was initially apprehensive when she received an email requiring her to fill an online form that included her social security number. Nonetheless, she made up her mind to take a chance and complete the form. The online form permitted H & R clients to drop their signature from their tax return directly on the form, submit it and stand a chance to win. On February, Pattison was notified that she had won the giveaway. Pattison, who has been residing in Lima for three years and a mother of two, was delighted at the news. She plans to use the monetary reward to visit her family back home in Kansas. Pattison is also a long-term H & R Block client, having utilized the company’s services since she was eighteen years. Kim Milliman at the H&R Avon office prepared her taxes for this year. The firm was pleased that one of their customers was the winner of the prestigious prize. When the check was presented to Pattison, the entire office staff, including owner Dawn Every, celebrated the occasion by serving up a cake. The company has been fortunate so far to have three winners during the H & R promotion. The office notified everyone on Monday that they had a third winner. However, the identity of the winner was not made public immediately. The first time you do your own taxes is often a nerve-wracking experience. You worry that you are going to miss something and get hit with a steep penalty from the IRS. Fortunately, you can use www.TurboTax.com to file your taxes yourself with confidence. Follow the tips below to complete your taxes with Turbo Tax 2015. If your taxes are simple and you have only W-2 forms and bank interest statements to include, you may be able to file for free. Use TurboTax to determine whether or not you qualify for free filing by answering some simple questions as prompted by the program. 3. File Your State Taxes. Federal taxes get most of the attention in the media, but you also need to file state taxes. Fortunately, TurboTax transfers all of your details to the appropriate state tax forms to save you time. TurboTax 2015 lets you quickly and easily file your taxes online without needing to print and mail forms. The program walks you through deductions, credits and obligations to help you get the maximum refund to which you are entitled without risking penalties. Most taxpayers already know about TurboTax Free Of Charge, but in case you have not, then you need to find a way to learn more about the software as soon as possible. The free version of the software will save you a lot of money in accounting fees. It will help you calculate how much you are required to pay as well as the tax refund owed to you by the IRS. The main disadvantage of hiring a tax accountant to do your taxes is that you will be forced to pay a lot of money for the service. The worst thing about it is that these professionals never give a quote in advance; they complete the work then quote an obscene amount. There are many other reasons why you should choose TurboTax free edition. First and foremost, you will never have to worry about finding a professional to do your taxes for you. Secondly, the software enables you to file accurate returns even when your tax situation is somewhat complicated, and you can do that from the comfort of your own home. If you need a more sophisticated version for your business, you can easily upgrade your software, but the free version is absolutely fine for the vast majority of taxpayers. With all these offerings, it is easy to see why Turbo Tax is an industry leader. You would have been given a refund had you filed your 2011 tax return, but you never did. The IRS is holding onto $1 billion in unclaimed funds that will become the property of the federal government if tax filers don’t claim the funds before the end of the tax filing period. Over 1 million houses failed to file and are owed the money. Tax payers have three years to file a return and claim funds that they are owed. The people that do not normally file when owed tax refunds are part-time workers or students who do not make much money and therefore feel they will not be getting a refund. But they pay more into the system than is required and therefore would have gotten a refund had they filed. 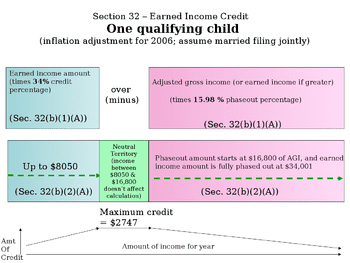 The Earned Income Tax Credit (EITC) is one big area of refunds that are not filed. These are refundable tax credits and therefore are given to filers that have not paid much into the system but have earned some income. In 2011 the EITC was as high as $5,700 if your family size was large enough. There have been stories about illegal immigrants gaining the right to file 3 years of returns to obtain three years of EITC. Those numbers are not yet included in this report by the IRS. TurboTax software comes with various benefits and features for users. One such feature allows users to transfer the data from the previous year’s taxes into the current year. Therefore, taxpayers can transfer their 2013 taxes into TurboTax 2015 for their 2014 taxes. Frank Ellis, a Traverse City Tax Preparation Examiner, recently told readers how they can handle this process for their tax returns, which then get sent to the Internal Revenue Service. A major benefit of this software, as explained by Ellis, is the fact that users don’t need to retype this information. Since data is automatically transferred i, this process is faster and lessens overall mistakes. Such convenient, automated features help taxpayers handle a variety of tasks with ease through TurboTax. Ellis mentions that TurboTax 2015 is supposed to help taxpayers maximize their refund. With other features like importing tax forms, taxpayers have plenty of tools to help them automatically enter their financial details from appropriate documents. There’s no longer any need to find this information and enter it manually. Perhaps no other tax preparation software is so simple, safe, and secure today. Of course, TurboTax 2015 contains a lot of features that users are bound to overlook. Articles like those from Ellis help identify these incredibly useful features. When users fail to use these features, they wind up making the process more difficult for themselves. They could even lose money because these tips help individuals find credits, deductions, filing deadlines, and other tools from TurboTax for their 2014 taxes. A tax refund calculator can help taxpayers simplify the their tax filing process. In doing so, individuals can estimate their refund or amount due throughout the process. Estimating one’s refund or return can help them make adjustments to maximize their refund and ensure the process goes smoothly. Tax refund calculators are convenient tools for figuring out a return amount before finishing the filing process. In most cases, the calculator accurately estimates the future refund, helping individuals prepare for the coming year more effectively. Many individuals rely upon their tax return in order to pay for major expenses within the following few months. Some people can’t survive financially without a large refund. To learn more about TurboTax 2015 for your 2014 taxes or to learn about taxes in general, then visit today. When it’s time for you to buy a house, make sure that you aren’t just blindly following any advice. Buying a House is serious business. Make sure that you take your time to fully understand that you are getting into. Your finances are going to either take a major hit, or you’re going to be able to gain leverage when purchasing your dream home. The key to moving forward within this world is simple, you need to have patience, and you’ll need to also make sure that you’re in line with the tax breaks that help you, not hurt you. Without fully understanding some of the crucial tips for purchasing a home and possibly saving money on your taxes as a result, things can get really difficult. One thing that H&R Block professionals recommend in regards to purchasing a home and getting the best opportunity at the same time is to look into claiming itemized deductions. These will help you pinpoint a lion’s share of deductions that standard solutions won’t allow you to get. If you bought a house in the past year, this will be amazing. When doing taxes, you need to focus on looking at beyond just the basics. You’ll find that a great deal can be dropped off your overall taxes, including deductions like interest, points, real estate taxes, and so much more. When it comes time to fill out paperwork, take a step back and allow a professional to look at your files. You may find out that there are some hidden gems in terms of deducting overall tax liability and more. One of the most crucial tips that you can take with you today, especially when it comes to saving money on your taxes every year is to make sure that you have a clear picture of your finances, and anything that pertains to the purchase, sale, and upkeep of your home. It is a wise move to invest in a good filing cabinet and keep paperwork for upwards of 5 years. You’ll find that if you’re meticulous with this, you’ll make great gains moving forward with the world of purchasing a home, getting a mortgage, and saving money on your tax return. One last thing you should remember is simple, hire a good tax preparation professional. Seek out qualified H&R Block providers and you’ll find that your next preparation could end up giving you a serious kickback in return. Tony @ Accountants Ireland on Monitoring your Federal Tax Refunds via your iphone.